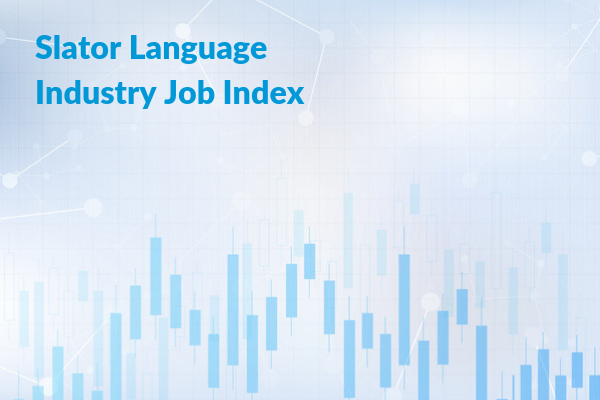 In its third month, October 2018, the Slator Language Job Index (LIJI) is up at 102.69 vs the September 2018 reading of 100.05. The baseline is taken to be July 2018 (100) and is used as a starting point from which to measure expansion or contraction of employment and hiring activity across the industry. The index increased slightly from July to August 2018, and then fell marginally in September 2018. The upward swing in October was reflected across almost all of the indicators used for the LIJI, including the number of profiles on LinkedIn registered under the Translation and Localization category and the number of profiles returned using the keyword search. However, there was a slight contraction in the number of job postings on some of the job aggregation sites that Slator monitors, which mitigated the overall increase for the month of October. Observational data of activity across the language industry in September 2018 shows a sustained pace of M&A as Venga Global acquired Translators International, Textualis was acquired by Ubiqus and Wieners + Wieners / Apostroph Group acquired López Ebri. On the startup front, Smartcat raised USD 7 million in Series A funding. There was also growth observed across sub-industries and locales. In Europe, Edinburgh-based language service provider Lingo24 posted double digit growth for H1 2018 and Ireland-based gaming localization giant Keywords reported that their “localization revenues grew by 13% to EUR 21.4m.” Keywords now employs a total of nearly 5,000 staff, almost double the number of people on the payroll compared to the same period last year. Meanwhile, in the US, linguistic diversity has hit an all-time high, and there has been an uptick in interpretation demand, for example for legal interpretation as the US crackdown on illegal immigration has led to growing numbers of court cases.